The following information was obtained from the IKO(1) 1997 Australian Full Contact Nationals programme, with some minor editing. Shihan Cujic began training in 1967 in his native Yugoslavia, and after immigrating to Australia in 1969, joined Kyokushinkai. His involvement in Kyokushin has continued ever since, in the capacity of competitor, official, coach, instructor (dojo operator), and Branch Chief. This makes him one of the most senior members, still active in Australian Kyokushin. His early years were spent in training and competing and he was fortunate enough to have represented N.S.W. and Australia in both point system and full contact tournaments. He was selected to compete in three Kyokushin World Tournaments (1975, 1979 & 1984), but due to injuries and study commitments only fought in the Third World Tournament in 1984. Since 1976, Shihan Cujic has been teaching in the Southern districts of Sydney, centred on Caringbah, and producing a number of State and National champions. It is his hope that one of his students will become National Champion on this 20th Anniversary. For a long time, he refused to get involved in politics, and was devastated by the split in Kyokushin in Australia in the late 80's. Sosai Oyama's death and further splits in Japan and Australia were another severe blow, nearly causing him to give up. However, after consultation with family and friends, listening to all the arguments and weighing all the options, he decided to stay with Kancho Matsui's group after the death of Mas Oyama in 1994. 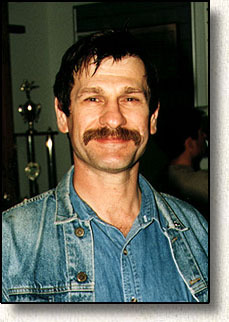 In July 2001, Shihan Cujic was promoted to sixth dan by Kancho Matsui. In 2002 Shihan Cujic and Sensei Joy started teaching Kyokushin full time. To date he has no regrets. He feels Kancho Matsui is a capable leader as well as a good role model for young karateka. When asked what Kyokushin means to him, Shihan Cujic replied, "It is my life. Through Kyokushin, I have travelled the world and made many friends. Through Kyokushin, I met my wife (Joy Cujic currently holds the grade of Sandan - Shah, 1997) and the whole family trains in Kyokushin (His two sons are also blackbelts - Shah). The training keeps me fit and healthy. If I had to live my life over again, I would still train in Kyokushin. I am looking forward to the next 20 years. Osu!"